2. Create a SCCM package with the bios file that you downloaded in step 1. 3. Create a new group in your task sequence and call it “Bios Tasks Windows 10”. 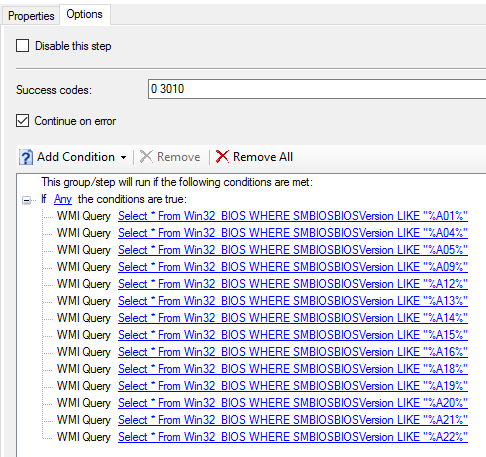 I create the group because I want only this step to run it is Windows that I deploy. I control that with a SCCM variable. b. 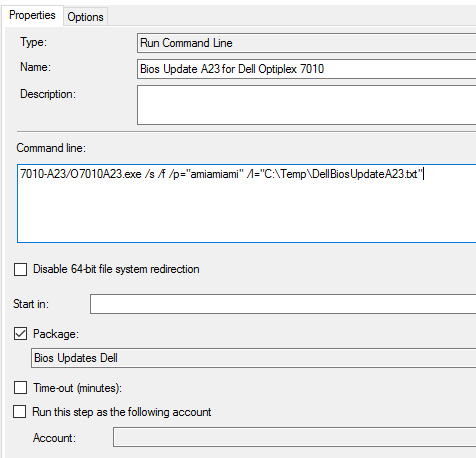 Package = The SCCM package you created in step 2.